Father’s Day is coming up this weekend. 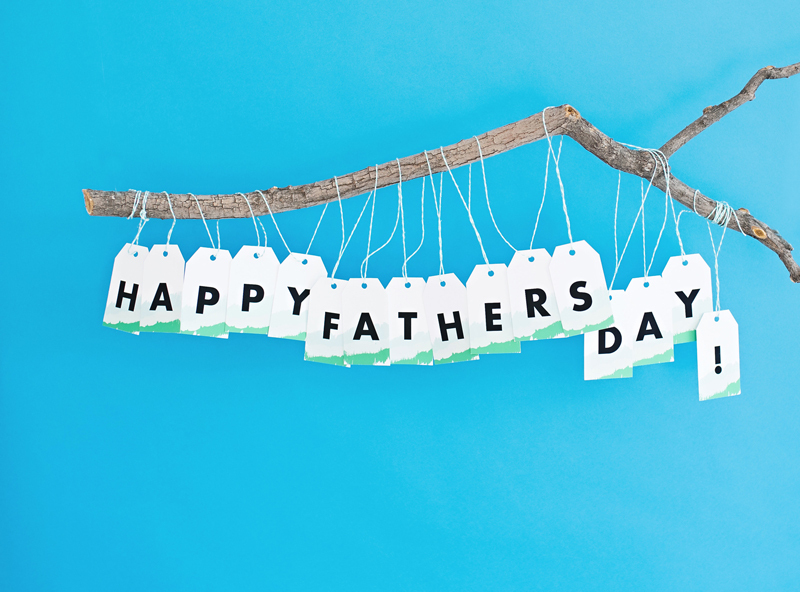 If you are still looking for a way to let dad know you care – make him a banner! Hang it over something he really loves, like steak or a favorite record. It’s a simple way to let him know how amazing he is. 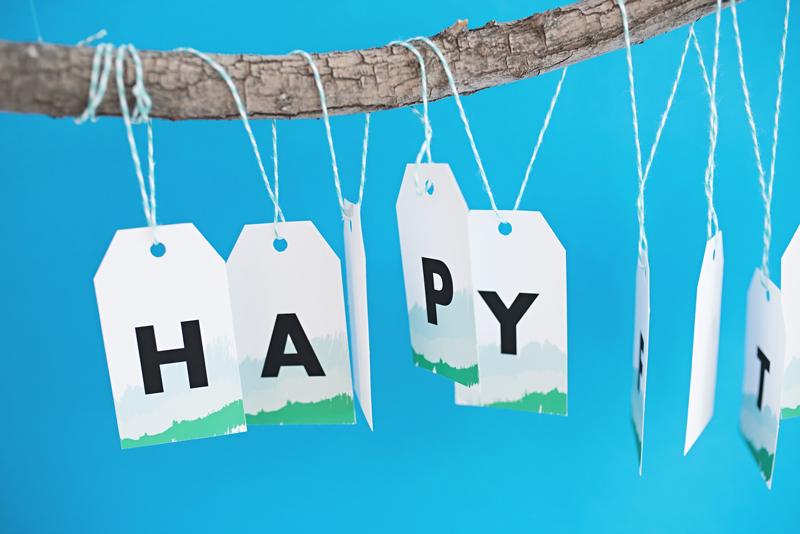 And although I am always partial to a strand of garland for everything… these tags would also be so great tied each to a small gift and laid out for dad. 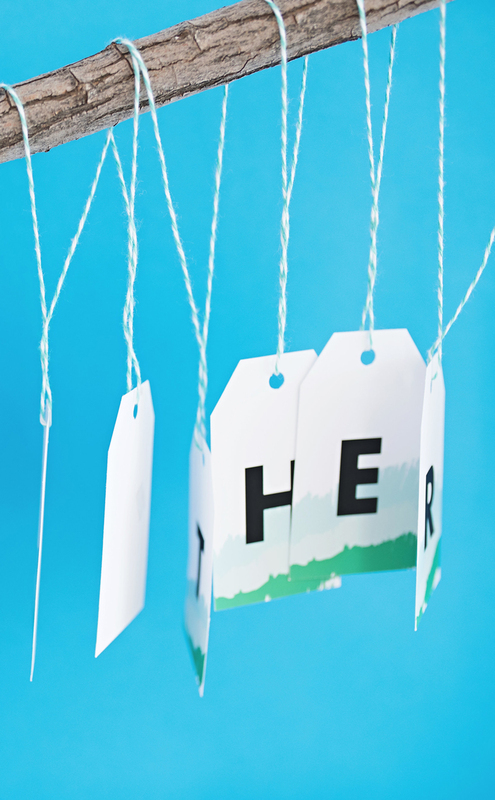 16 little mementoes all lined up with tags that spell out – Happy Father’s Day. It’s gift he won’t soon forget. 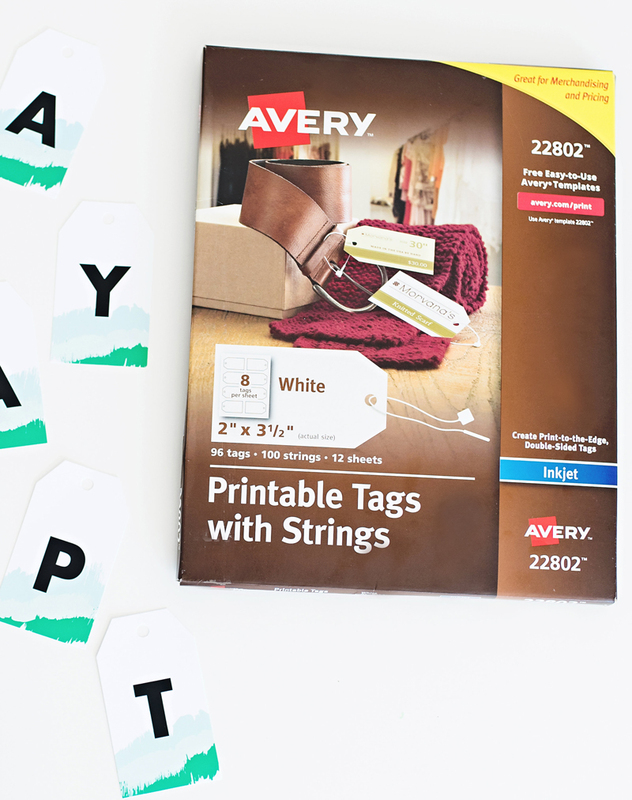 The labels are made with Avery’s easy to use online design center. 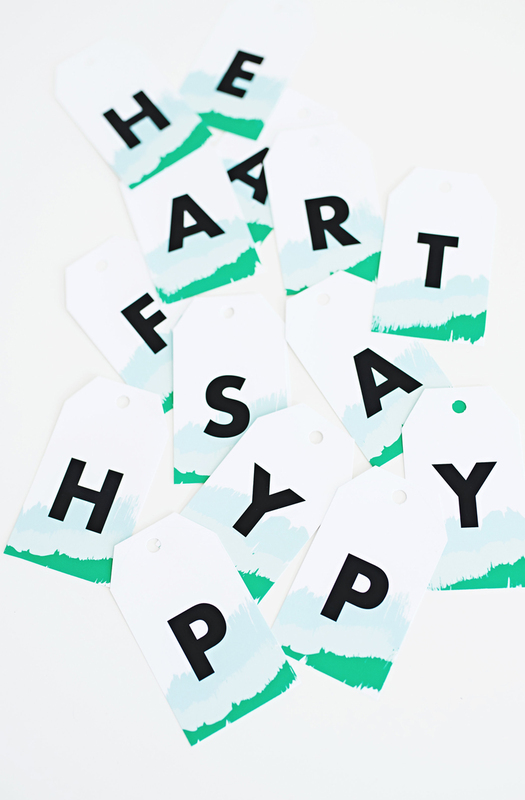 It’s amazing how easy it makes crafting when I can just upload a file and print onto tags/labels etc. 1. 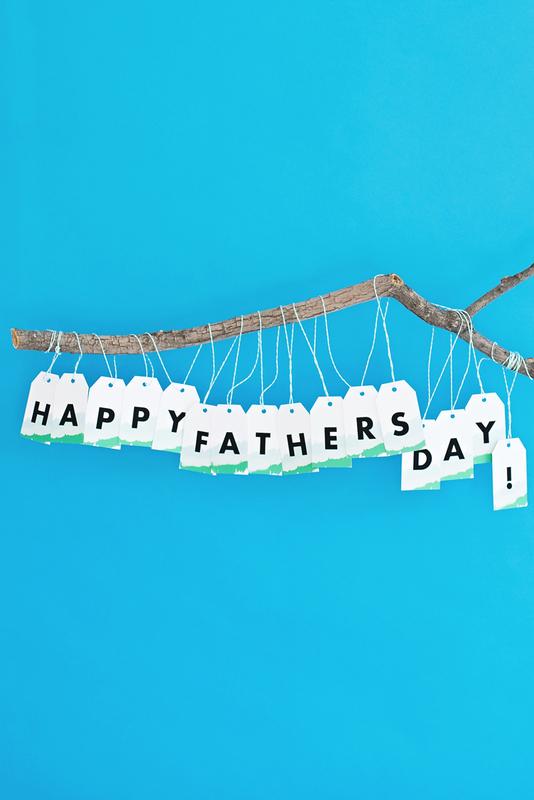 Download the printable Father’s Day garland template and save to your computer. 2. 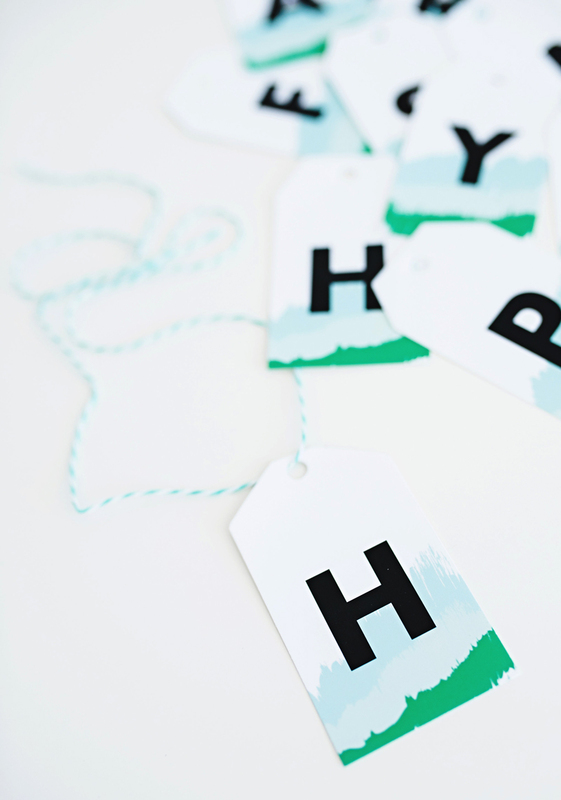 Go to Avery’s online design center and choose the label product number written on your box. 4. 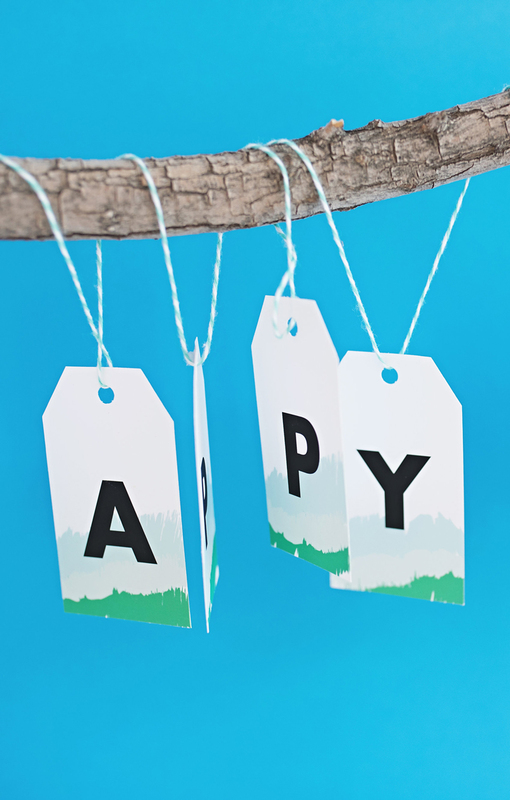 After printing, punch out each of the tags and use string to attach to a branch for a naturally festive Father’s Day statement. PS. 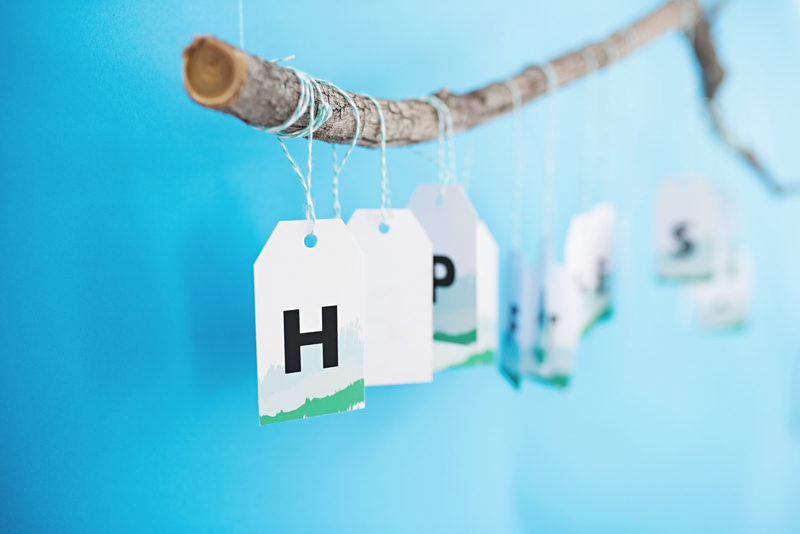 More easy Father’s Day ideas.